I’m a member. How do I get tickets? Reserve online: To ensure your preferred day and time for visiting, we encourage you to reserve your tickets online in advance of your visit. You can also purchase tickets for additional guests beyond your member allotment. Print your tickets at home or show them on your phone to skip the Membership Desk and head straight into the galleries. If we have your email address, then you already have an online account. If you need assistance or would like to set up an online account, contact us at membership@sfmoma.org or 415.357.4135. Reserve in person: Present your membership card at the Membership Desk to reserve tickets. Please note that the museum has a limited number of tickets available on-site every day. Members receive priority tickets through the Membership Desk, but on very busy days there is a chance tickets may sell out for your preferred time slot. Membership staff are available by phone every day from 9 a.m. to 5 p.m. to process or renew your membership. Call 415.357.4135. Each level of membership offers a variety of perks and benefits. 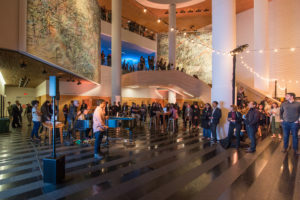 Basic membership includes free admission for you and a guest for one year, invitations to exclusive member events, discounts at the SFMOMA Museum Store, and more. 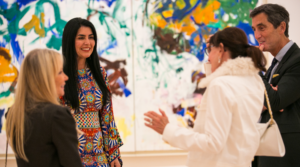 Higher levels of membership bring additional benefits, from guest passes for unaccompanied guests to invitations to evening receptions, day trips to Bay Area art destinations, and more. Memberships become effective immediately and expire after one year on the last day of the month of purchase. For example, if you purchase a membership on January 1, 2019, it will expire on January 31, 2020. Are senior discounts available for membership? Seniors 65 and older can save $20 on Individual and Dual memberships. This discount is not available online. The fastest and most efficient way to receive this discount is by visiting the on-site Membership Desk. 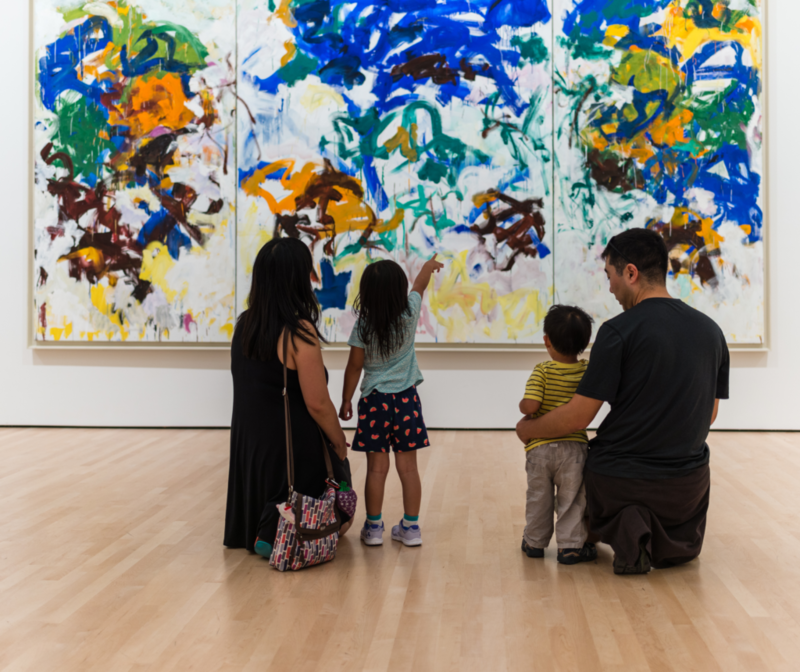 Alternatively, you can send a check, made payable to SFMOMA, to: SFMOMA, Attn: Member Services, 151 Third St., San Francisco, CA 94103, or call Member Services at 415.357.4135. Members at all levels can bring one guest per member free of charge on each day that they visit. Membership at the Dual level and higher extends complimentary admission to up to four people (one guest per person for each of the two cardholding members). To receive complimentary admission, guests must be accompanied by a current member or have member guest passes (for unaccompanied visits). See Membership Levels + Benefits for more details. On any given day, members can book on-site, online, or by phone, only up to their allocated allotment of tickets per member level. Can I bring a guest to member events? Check your invitation for guest privilege details. Is there a surcharge for special exhibition tickets? Yes, special exhibitions have a surcharge. As a member, you have an allotment of free tickets for each special exhibition. Individual members can book up to eight (8) free tickets over the run of an exhibition. Dual members and above can book up to 16 free tickets over the run of an exhibition. Please reference your membership level’s normal daily guest allotment when booking special exhibition tickets (e.g., an Individual member cannot use more than two allotted special exhibition tickets for a single visit). Additional tickets are available at the surcharge price. General museum admission remains free for you and a guest. Why is there timed ticketing for special exhibitions? 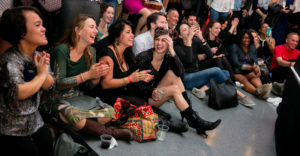 Timed entry ensures all members and guests enjoy their SFMOMA experience. Once you arrive at your reserved time slot with your ticket, please feel free to stay in the new SFMOMA as long as you’d like! Hold on to your ticket and sticker so that you can exit and reenter the museum. How do I purchase additional tickets to a special exhibition once I’ve booked my allotment of free member tickets? You have two options: You can visit SFMOMA in person to purchase special exhibition tickets only (based on availability), or you can purchase full-price tickets online (general admission + special exhibition). If you have further questions, please call 415.357.4135. For up-to-the-moment news and event information, sign up for our email newsletter, or access our online calendar of events. For a deeper dive into what’s going on at the museum, check out the biannual Member Magazine and quarterly Member Calendar. Can I give a membership gift through my charitable trust, foundation, or donor-advised giving? Thanks for asking! For information, contact us at membership@sfmoma.org or 415.357.4135. What is the tax deductibility of my membership? Individual, Dual, and Supporter level memberships are fully tax deductible; Contributor-level memberships are tax deductible up to $525, and Benefactor-level memberships are deductible up to $1,125. SFMOMA’s EIN/federal tax ID number is 94-1156300. What are the reciprocal benefits of my membership? Members at the Supporter level and higher enjoy reciprocal admission at selected museums in North America, including free admission for you and a friend. Please note that reciprocal privileges may be restricted for specially ticketed exhibitions. For details, please see Reciprocal Benefits. Can I share a membership with friends or family? Memberships are nontransferable and are to be used only by the membership cardholder. However, you are always welcome to bring a guest with you during your visit. How do member guest passes work? In addition to bringing a guest each time you visit, you can use member guest passes (included with membership at the Supporter level and above) to allow one-time free admission during regular museum hours for a guest unaccompanied by you. Member guest passes do not have an expiration date, and they include admission to special exhibitions. They cannot be used for admission to members-only previews and do not entitle the holder to a Museum Store discount or other member privileges. Can I sell my member tickets and/or guest passes? Member tickets are intended for use by you and your accompanied guests. They may not be resold on third-party websites or used with vacation rentals and businesses. ID is required for member entry. The misuse of member tickets will result in the loss of member privileges. Can I use my membership tickets for a group tour? 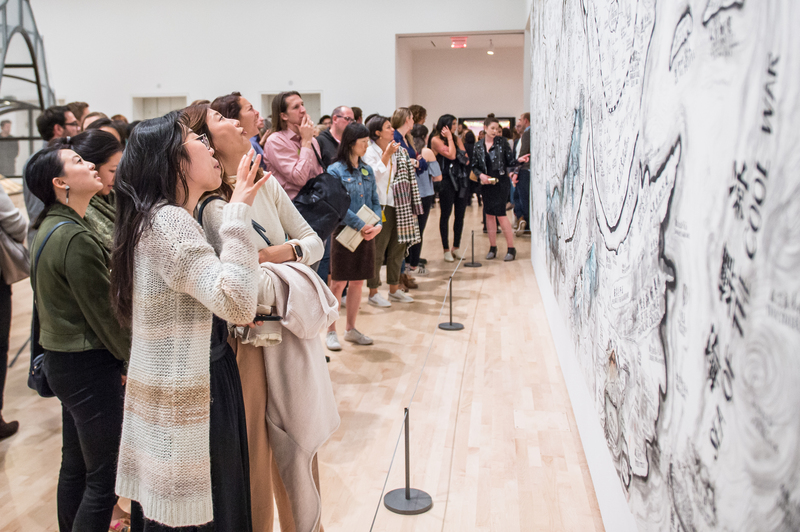 SFMOMA members may use their free admission benefits when booking or participating in a group tour. 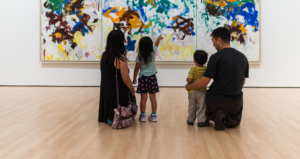 If you or members of your group are SFMOMA members, we are happy to provide you with complimentary or discounted tickets based on your membership level and adjust the cost of your order. On your group registration form, simply list the names and membership numbers of the participants you will be claiming tickets for on the day of your visit. Help, I lost my card! No problem. Visit the on-site Membership Desk to request a replacement card and receive a temporary membership card on the spot. Alternatively, you can call Member Services at 415.357.4135 to request a replacement card. There is a $3 fee to replace member cards, but they are free when membership is renewed. Replacement cards may take up to four weeks to be received by mail. The easiest way to update your contact information or check your membership status is to log in to your member profile page. Still having trouble? Visit the on-site Membership Desk. Alternatively, you can contact us at 415.357.4135 or membership@sfmoma.org. Please note: For two-card memberships (Dual and higher), only the primary member receives printed materials; however, any address updates made by either member will change the mailing address on the membership. No. Membership payments are tax-deductible contributions to SFMOMA. As such, they are not refundable or transferable. How do I access my SFMOMA online account, and what are the benefits? If you are already receiving emails from SFMOMA, click here to request a password reset, then follow the prompts. Not receiving emails? Contact Member Services at 415.357.4135 or membership@sfmoma.org with your membership number and preferred email address, and we will set up your login for you. Accessing your online account allows you to check your membership level and expiration date, update your contact information, select member tickets, and enjoy fast and easy processing of your membership transactions. Managing your membership online also helps the museum save paper and resources. I received a renewal notice asking me to renew my membership before it expires. Will I lose any time off my current member year? Nope! By renewing early, you are helping us to defer much-needed funds to exhibitions, education, and programs. Your membership will always be extended by twelve months from your current expiration date. Signing up for the Automatic Renewal Program is easy and good for the environment. Opt in when you purchase or renew your membership by mail, on-site, online, or by phone (at 415.357.4135). Your annual membership renewal will be automatically charged to your credit card in the month your current membership expires. How do I designate a second membership cardholder? Members at the Dual level or higher may designate a second membership cardholder at the time of purchase. To add or change the secondary cardholder at a later time, the primary cardholder can visit the on-site Membership Desk; email membership@sfmoma.org with membership ID number, full name, and address; or call Member Services at 415.357.4135. Free audio guides are available to download through the SFMOMA Audio App. Can I give membership to someone as a gift? Definitely! Memberships make amazing gifts and last all year long. Gift memberships are defined as memberships purchased for those living in households other than your own. You can purchase a gift membership online, on-site at the Membership Desk on Floor 2, or by phone at 415.357.4135. Can I delay the start of a gift membership? Gift memberships are activated as soon as payment is processed. However, all membership expiration dates are extended to the end of the month. The member will still receive a full twelve months of membership (e.g., if the gift is purchased December 2, 2019, the expiration date is December 31, 2020). Need more flexibility? Consider purchasing a gift certificate, good for tickets or memberships and redeemable at any time (available on-site or by phone only). 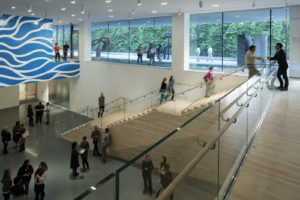 All SFMOMA member benefits are subject to change.